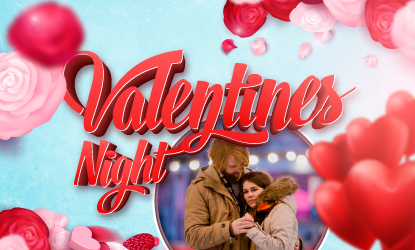 Planet Ice are hosting our very own 'Valentines Day' skate for everyone. You can get 2 tickets for the price of one when you book tickets online for this event. Welcome to the new Planet Ice website! Here you’ll discover everything we have to offer at the Planet Ice including ice skating, courses, parties, events, activities, café and much more. The new look planet ice is looking awesome! A great day out had by all! The team were friendly and inviting! Nikki was very accommodating and kept our party of kids entertained. We'll be back very soon. Many thanks!